Hello. We are about to start a feature in our website where after each article it will be the audio of it, meaning; that the author will read the author for his visitors. We are aiming to help people with reading issues (either blind, people that doesnt know how to read etc). 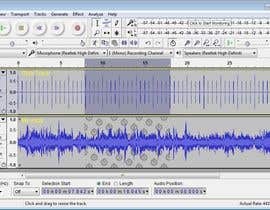 Please use AUDACITY for this project so we can make the changes ourselfs after this project is done. I have attached the audio of an author reading one of our articles. What you need to do is for you to play with it. We need an intro for it, then the audio, and then something that is about to close it. 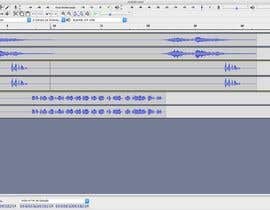 The ideal scenario would be to include also some vocal in the start of the audio that is going to say "Audiomag" or "maxmag podcasts" or anything you think would make it fit. After that we need the audio we give, and in the end somethng to close. Feel free to add effects but please remember that the final outcome has to look formal and professional. Keep in mind the concept. Wait for my entry :) Just done mastering it. Hi my friend, i will be sending a entry tomorrow. 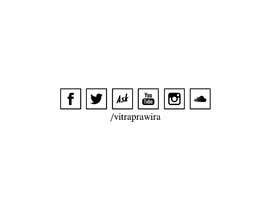 Hi, I can make Original Composition, Editing, Mixing and Mastering your track. I use Audacity, FL Studio and Cubase. You can also order custom composition. I use Adobe Audition. Is that alright? So you need an intro and outro for that music? Please check my entry, thanks! Hi, i don't use Audacity. I use Studio One but if i win i will send you all the specifications of the processes that i used and all the tracks separately so you can mix them as you want. What you think?